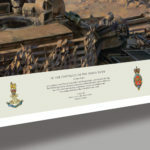 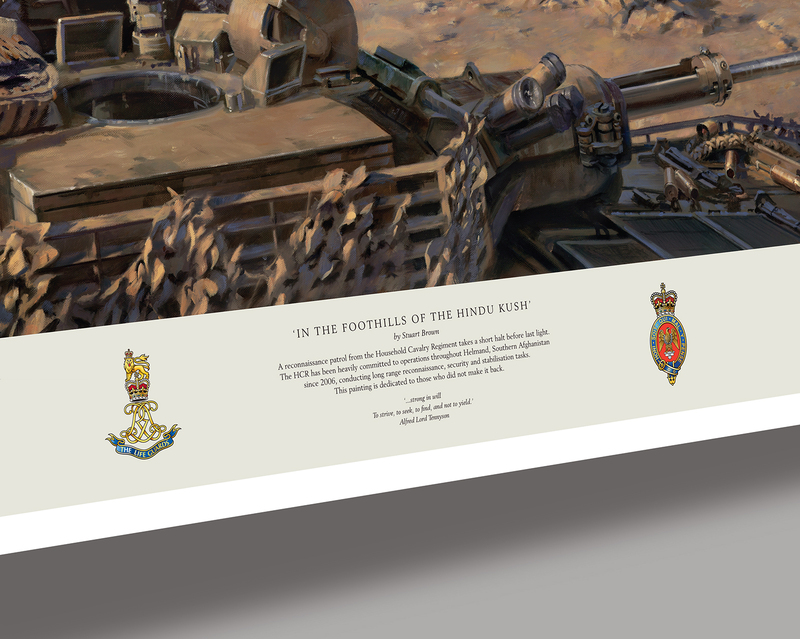 Commissioned by the Household Cavalry Regiment. 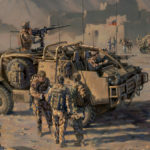 The Household Cavalry Regiment has been heavily committed to operations throughout Helmand, Southern Afghanistan since 2006, conducting long-range reconnaissance, security and stabilisation tasks. 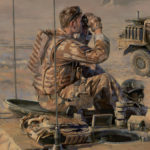 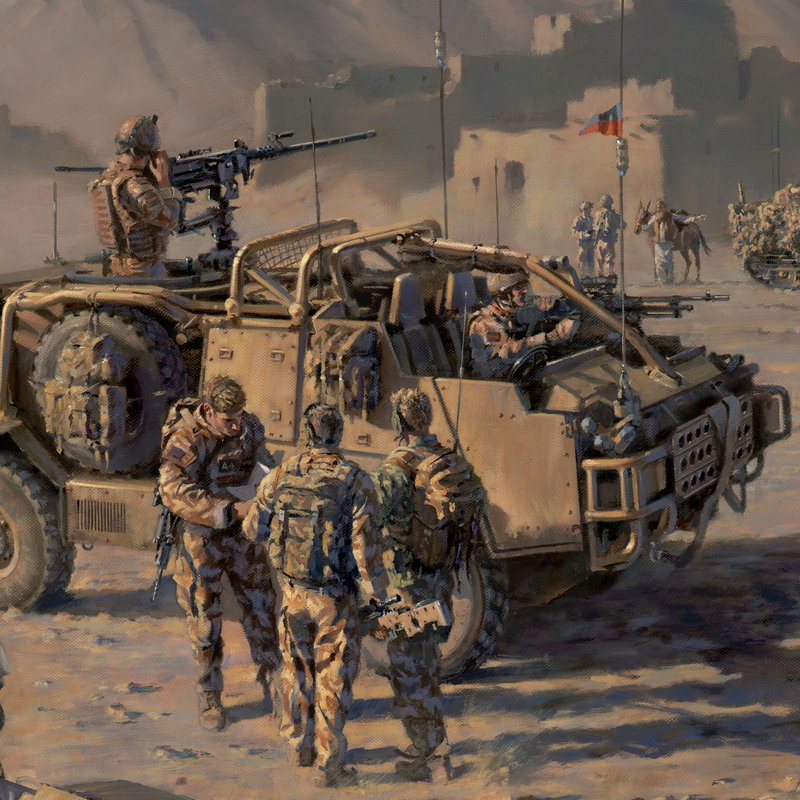 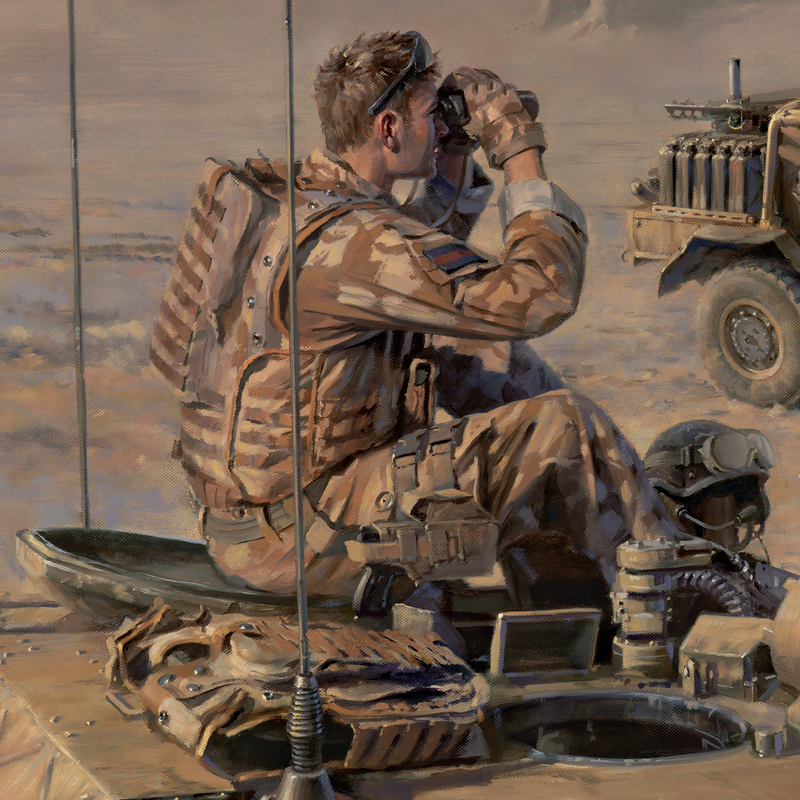 The painting depicts a reconnaissance patrol from HCR taking a short halt before last light, in an area typical of northern Helmand, near the key town of Musa Q’aleh. 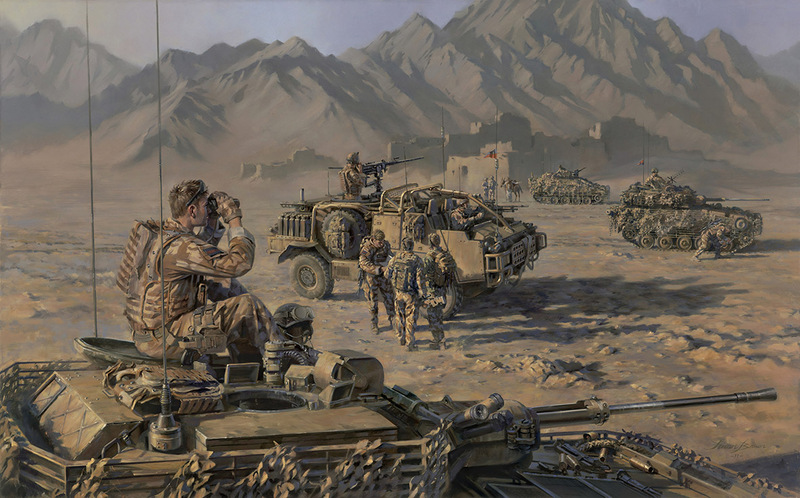 The scene shows a mixed patrol equipped with a variety of vehicles and weapon systems used by the Regiment including the Scimitar and Spartan CVR(T) and the Jackal 1.